Second edition in regular tape box, and different artwork. Track A10, is not mentioned in the tracklisting. Also not featured on all copies! Track B10, is credited to Graham Lewis & B.C. Gilbert, and is taken from the Dome Album "Dome 2". Track A1, A10, B11 are different tracks. Nearly 35 years after it was released, it's pretty much impossible to appreciate how significant an album this was when it came out. By 1980, the post-punk era had set in motion a whole range of musical genres - electronic, industrial, lo-fi, ambient, goth, new romantic, raincoat, synth-pop... and this cassette offers a great snapshot of what was going on at the time. So many significant names - some were already established artists transitioning to new styles/audiences, some represented the cutting edge of new music, and some were destined to do interesting things. The Factory connection is unavoidable, but Brian Eno's presence and influence loom large. This compilation also heralded a new era for the cassette format in particular, and DIY/self-released music in general. Remember BEF's "Music for Stowaways", A Certain Ratio's "The Graveyard & The Ballroom", and Bow Wow Wow's "C30, C60, C90 Go"? And the numerous cassette-zines like Northern Lights and Fast Forward? Plus those 2-in-1 cassettes where record labels pushed back-catalogue, remixes, instrumentals and companion albums onto new cassette releases? 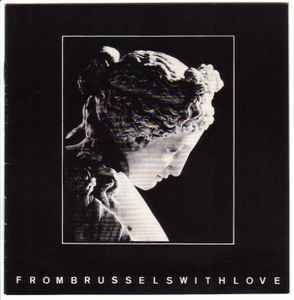 Anyway, while not all of the tracks on "From Brussels..." stand up today, it's hard to conceive of any compilation of this calibre being put out today - or not without feeling contrived or pretentious. Finally, it's worth noting that Les Disques du Crepuscule tried to repeat the formula with the 2xLP compilation album "The Fruit of The Original Sin" a year later, which mostly lives up to its predecessor.